Municipal officials will visit various construction sites, industrial workplaces and other public areas across the emirate of Dubai in order to enforce occupational safety regulations and tackle hazards of elevated temperature conditions during the summer. This was announced on Monday as Dubai Municipality (DM) launched its annual safe and healthy summer campaign to prevent heat stress cases among all segments of the society. Redha Hassan Salman, Director of Public Health and Safety Department at the DM, said, “Apart from the construction sites, 18 public places like jogging tracks, shopping centres, parks, metro stations, beaches and mass gathering areas of the emirate will also be covered in the campaign that runs until July 31. “Both the private and government sectors will be addressed on the health safety of their employees through implementation of perfect occupational and health safety practices at work places in the summer. The labourers and their supervisors will be educated on the means of safety and first-aid and the importance of constant intake of water and means of prevention of heat stress," he added. “Meanwhile, the beach-goers or visitors to open spaces will be given awareness lessons on the heat stress, its symptoms, prevention methods and first-aid. Awareness materials such as leaflets, urine charts, posters, water and sachets of instant hydration drinks also will be distributed among workers,” elaborated said Salman. 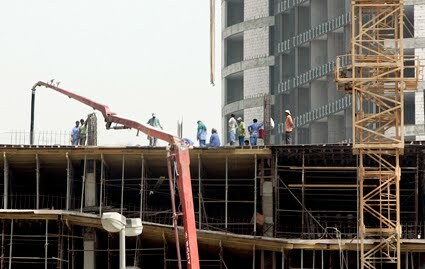 Raed Mohammed Al Marzouki, Head of Occupational Health and Safety Section at the DM, said the focus is to ensure implementation of international, federal and civic regulations on the safety of workers at construction sites, industrial units and other outdoor working places, where heat hazards could be dangerous. The labourer should be given ample rest, in addition to provision of proper safety measures or medications if needed. If any labourer feels tired or exhausted due to the heat, the site supervisor should take him out of the place to provide sufficient rest and medical aid,” pointed out Al Marzouki. “Workers should have knowledge on the symptoms of various heat-related illnesses, precautionary measures to avoid the heat stress as well as emergency procedures to help co-workers in such events,” he added. 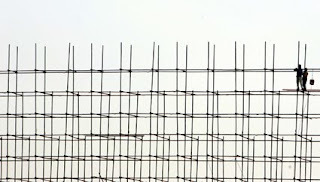 Construction site safety plan must be followed by all the employees employing in a construction site. This will assure safety of their life. Also it allows the work conditions to be safe with less casualty rates.